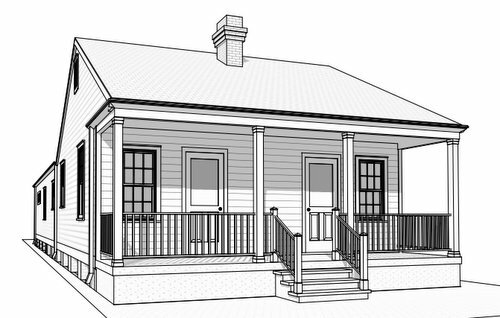 A request to tear down a single-story home on Henry Clay Avenue and a proposed renovation of another house on Laurel Street that city officials said would essentially replace it as well have both been rejected by the Historic District Landmarks Commission, but two demolition requests in the Irish Channel and in Hollygrove were approved. The home at 301 Henry Clay dates back to the early part of the 20th Century and remains in relatively good condition, according to the HDLC staff report. The front porch has some damage from a vehicle strike, but the foundation is not damaged and could be repaired, the report concludes, recommending that the demolition request be denied. No one appeared before the HDLC to present the demolition request last Thursday (July 20), but a structural engineer’s letter on behalf of owner Brice Abadie said the cost to make the repairs would exceed the house’s value. Erin Holmes of the Preservation Resource Center disputed that view, and characterized the request as part of a trend of selling smaller homes in sought-after neighborhoods to buyers who intend to replace them with something much larger. 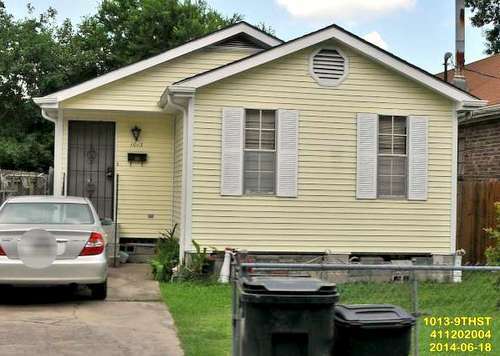 Neighbor Greg Sonnier said he has lived next door to the house for 17 years, and its condition has remained relatively unchanged that entire time. When he learned of the demolition request, he said, he examined the piers himself and couldn’t see any damage that warranted it being demolished, other than the standard cracks that many older houses show. With no one speaking in favor of the demolition, the HDLC voted unanimously to reject it. The request on Laurel Street drew less criticism. The house itself likely dates to the mid-1800s and retains its original footprint, with some modifications, and remains in generally good condition, the staff reported. The owner, listed as Roy Hebert Jr., plans to add a section to the rear and replace the gabled roof with a taller roofline. Replacing the roof, however, would also require reconstruction of all the exterior walls, and thus would qualify as a “constructive demolition,” which would change the character of the home and thus should be denied, the staff concluded. Instead, the HDLC staff recommended allowing the owner to make the rear addition while retaining the original roofline. In that case, the project would no longer qualify as a demolition and would no longer require HDLC approval, they said. A representative of the owner told the commission that they didn’t intend to demolish the building anyway, and consented to keeping the roofline. He agreed to work with the HDLC staff to redraw the plans for the rear addition, drawing praise from commissioner Gregory Hackenburg. Holmes said the Preservation Resource Center also supports a revision to the plans to keep the roofline. The HDLC unanimously passed a motion to deny the demolition request, which staff members described as the formal step to allow the redrawing of the plans to proceed. 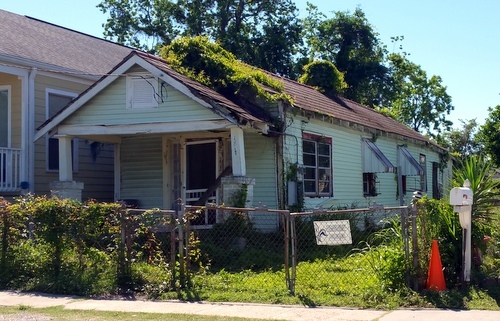 In the same meeting, the HDLC voted to allow the demolition of two single-family homes on Ninth Street in the Irish Channel and on Hollygrove Street in Carrollton. The house at 1013 Ninth Street, whose owner is listed as Leola Christy, does not contribute to the character of the Irish Channel neighborhood, staff members said. The streetscape would be better served by a new home that fits better — in particular, a house that sits closer to the sidewalk, they said. Meanwhile, the house at 1817 Hollygrove Street (owned by a company called “Ctn Holdings”) shows significant interior damage, as well as exposure to weather and termites, and is in the early stages of collapse, the staff said. The staff recommended approval of the demolition, and the HDLC voted unanimously in favor of it. 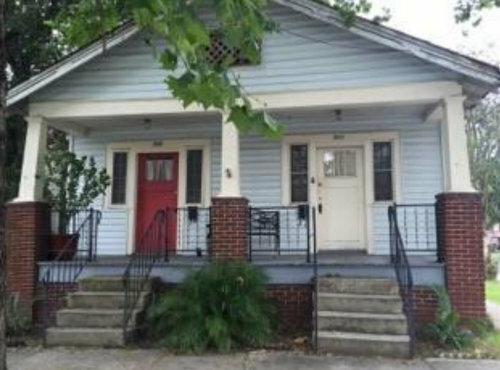 Finally, the proposed demolition of a one-story home at 917 Hillary Street was withdrawn. The demolition requests denied by the HDLC can be appealed to the City Council, but those approved can proceed wiht no further action. As of this afternoon, the assessor’s office still lists the other company as the owner.